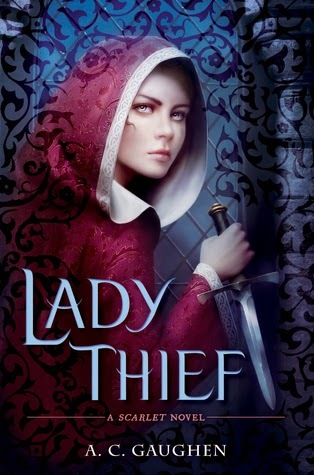 Lady Thief (Scarlet, 2) by A.C. Gaughen, February 11, 2014. 304 pages. Published by Walker Childrens. Source: Library. The fire breathed, the dying embers flaring and cooling in a hot pulse. 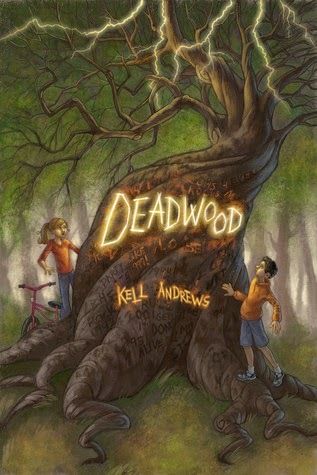 Deadwood by Kell Andrews, June 24, 2014. 220 pages. Published by Spencer Hill Press. Source: publisher. Sometimes a lucky ritual becomes a curse. 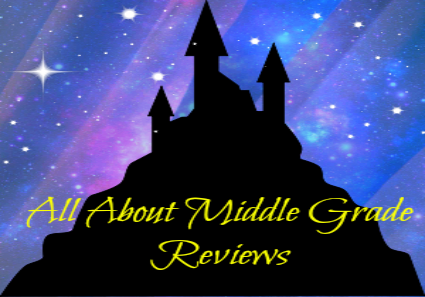 Seventh-grader Martin Cruz hates his rotten new town, Lower Brynwood, but with his mom fighting a war in Afghanistan, he has no other choice but to live with his crazy aunt. Then he gets a message from a tree telling him it's cursed--and so is he. It's not just any tree either, it's the Spirit Tree, an ancient beech the football team carves for good luck before the season opener. But every year they lose. Now the Spirit Tree is dying, and the other trees in the park are toppling around it like dominoes. The town is plagued with unexplainable accidents and people begin to fade, drained of life. Martin must team up with a know-it-all soccer star, Hannah Vaughan, if he has any chance of breaking the curse. If they fail to save the Spirit Tree, it could mean the destruction of Lower Brynwood and a permanent case of bad luck. Martin Cruz knew something was wrong the moment he saw Lower Brynwood from the interstate. While I did enjoy Deadwood and the writing of Kell Andrews, this one fell a little short of my expectations. I really wanted to like it more than I did but it just took too long for things to truly happen and I was able to untangle the plot in just ten pages. That's not to say the book is lacking in merit, just that it was a little too easy for my brain to unravel the entire plot. So, while I may have been a skosh let down with Deadwood I'm sure this is one book that many readers will enjoy...more than I did. I really enjoyed seeing the angle behind the Spirit Tree's demise and how it affected everything within the town, from the other plant life to that of the people. 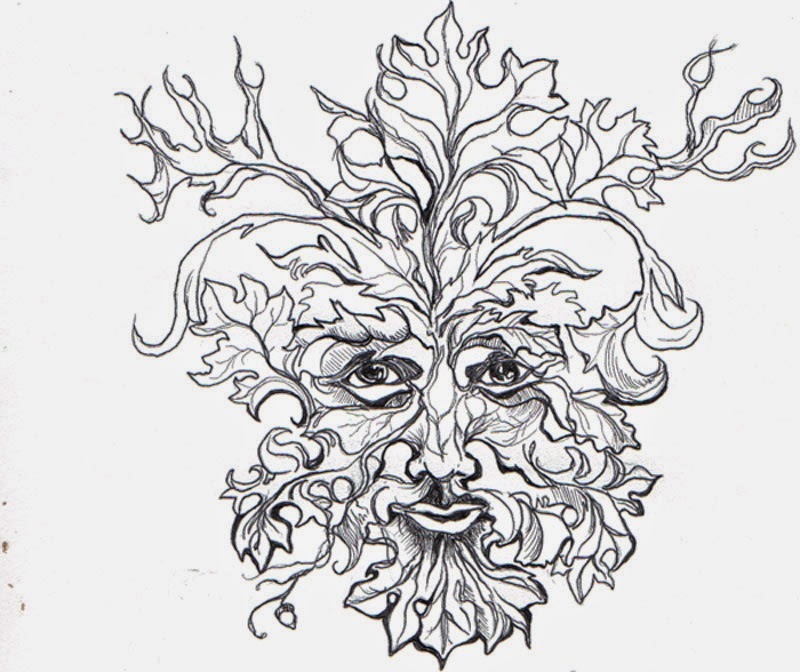 It was really interesting to see how the author made the Spirit Tree so interconnected with every thing there, as well, as the means which it used to communicate with Martin and Hannah as it trued to enlist their help to right the wrong of the evil one. So yeah, the author definitely did a great job when it came to fleshing out the story-line and the how's and why's behind the downfall of Lower Brynwood. I enjoyed seeing Hannah and Martin argue and muddle their way to the answers, and, even friendship as they fought to save the Spirit Tree and those they cared about from destruction. In short, the actual premise of the story is quite interesting in itself. I've always enjoyed reading a book where two unlikely allies team up in order to save the day. And that is part of what you'll get when you dive into Kell Andrews' Deadwood. Well, let's just say that from very early on, like maybe ten pages in, I knew who was behind everything, who was just a mere pawn, and why they were doing what they were doing. It was just too easy for me to figure out which was a little disappointing as I was looking forward to unraveling the mystery of the Spirit Tree...albeit at a much slower pace then I actually did. While I found this to be a pretty predictable read, it was still interesting (if a little slow since I figured things out way before the characters ever got close to the answer). The final thing that did not work for me in Deadwood would have to be some of the interactions between Hannah and Martin because they felt a little unlike what one normally sees within a middle grade title. While I did find certain things about their friendship to be a little odd, I really did enjoy seeing the way they worked together even when they were not getting along. Truthfully, I really enjoyed Martin's character the most. In the end, what I really enjoyed about Deadwood would have to be the way Kell Andrews was able to write about the mystery surrounding the rapid decline of the Spirit Tree and how it created a domino like of destruction throughout the town of Lower Brynwood. It was definitely interesting seeing how she brought all the pieces together in the end, as well, as seeing the final way things settled after the truth finally came out. The two things that kept me from truly loving this one, as much as I wanted, would have to be the ease in which I solved the mystery and that it seemed to take them ages, like the last few pages, for the characters to finally put two and two together. A little frustrating when you guess early on, but definitely worth reading for the story. Final Verdict: Deadwood- While not as complex as I hoped, I found myself enjoying the character dialogue and following their investigations. 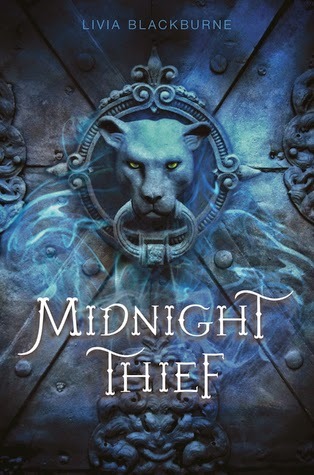 Midnight Thief (Midnight Thief, 1) by Livia Blackburne, July 8, 2014. Published by Disney Hyperion. Why: My curiosity is piqued by this one and I want to know if it'll be as good as it sounds. I'm really hoping that should I get the chance to read it, it won't be disappointing. 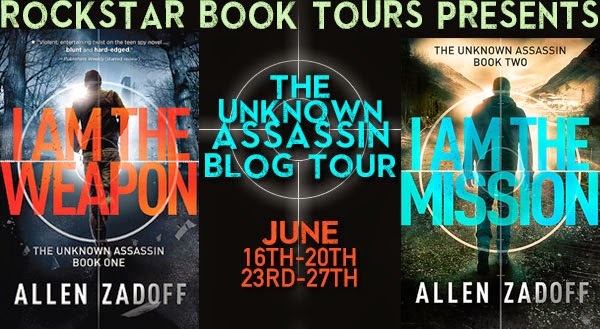 I Am the Weapon (Unknown Assassin, 1) by Allen Zadoff, May 13, 2014. 368 pages. Published by Little, Brown Books for Young Readers. Source: publisher. It's a thirty-two ounce Rawlings composite. Truth be told, I wanted to like I Am the Weapon more than I did. While it was supposed to be a whole new take on the teen spy genre, as it said on a blurb, I found it to be...well not. This is not the first time I've read a book similar to this one. Even though this one ended up being not as spectacular as I was hoping for, I did enjoy seeing the way the story came together. So, what did I enjoy about the first book in Allen Zadoff's Unknown Assassin series, well, that would have to be Boy Nobody's story. I found it interesting to watch him go from being just a good little soldier within the Program's system, to questioning the rightness behind what he was being asked to do. It was definitely fascinating to watch him slowly come to the conclusion that maybe, just maybe, the Program wasn't completely in the right with their missions and endgame. Morally, I found it interesting because he had been basically reprogrammed to accept his role and the jobs he was assigned with no questions asked, but, as more of his personal story was shared and how he came to work for them it became apparent that he had whitewashed away his feelings on right and wrong. If I look at the book as one about right and wrong, as well, as how Boy Nobody's eyes were opened to the life he was brought into, then I Am the Weapon was an interesting read. But, when I look past that, I'm still left feeling disappointed because the author didn't break any new ground with his novel. While it has been sometime since I last read it, this book made me think of another that was quite similar in many areas. Boy is trained to become assassin, boy starts to question that truth behind his 'job', boy's mind is changed/opened to what could be by a girl. And this is where book one kind of lost me. Sure, there was the beginnings of the questions in regard to the Program from the very beginning of the book-cue, cannot be still and not working as memories and doubts plague character-and you see that not everything is as his "parents" hoped it would be. Plot aside, let's talk about the writing. The writing was okay, but what Allen Zadoff did excel at was the fight scenes and crafting intense scenes as Boy Nobody wrestled with his past and the shape of his future. I enjoy books when the author is able to make the reader feel something-whether good or bad for the character and their current situation. While I may not have liked everything about the way Boy Nobody's story and the writing, it does pull you in. What I did not like about the writing. Well...that would be that I felt there was a lack of a) character development-Ben would start to question things and maybe think for himself and then he would back to siding with the Program. I would have liked to have seen him progress more along the line of deciding whether or not he was truly loyal to them. b) Even though he was in mission mode, i.e all about the job and nothing else, I really didn't buy into the whole connections he was trying to make with his targets. Ben just came across like a two dimensional paper cutout. While I do have some problems with the overall story and characters, I Am the Weapon had it's entertaining moments and was, mainly the dramatic scenes, a page turner of a read as the constant action draws you in like an action flick. As this review is getting quite long-this was the short version- I'll be sharing my thoughts on book two in a few days. Final Verdict: I Am the Weapon- A fast paced read where loyalties are questioned and stakes are high. Don't forget to check out tomorrow's stop on the blog tour @ Curling Up with A Good Book. 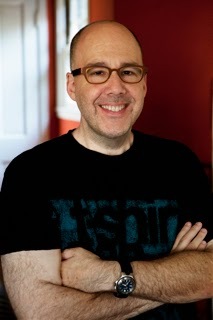 Allen Zadoff is the author of the THE UNKNOWN ASSASSIN series as well as several acclaimed novels including FOOD, GIRLS, AND OTHER THINGS I CAN'T HAVE, winner of the Sid Fleischman Humor Award and a YALSA Popular Paperback for Young Adults. 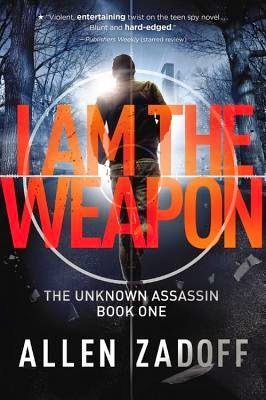 Allen's action-packed series debut, I AM THE WEAPON (formerly BOY NOBODY), is a page-turning thriller about a teenage assassin that has already been optioned for film by Sony Pictures & Overbrook Entertainment. The book was featured in the Los Angeles Times' Summer Reading guide and has received starred reviews from Publishers Weekly and VOYA. Kirkus Reviews called I AM THE WEAPON "fast, furious, and fun." Look for the sequel, I AM THE MISSION, beginning in June 2014. Allen is a graduate of Cornell University and the Harvard University Institute for Advanced Theatre Training. His training as a super spy, however, has yet to be verified. Visit Allen on the web at www.allenzadoff.com. 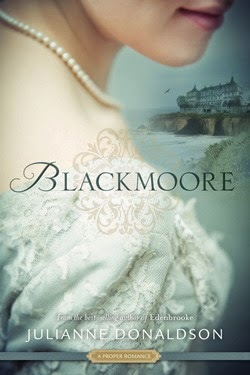 Blackmoore by Julianne Donaldson, September 9, 2013. 286 pages. Published by Shadow Mountain. Source: Library. A woodlark sings of heartache. 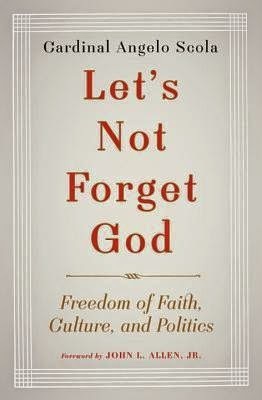 Let's Not Forget About God: Freedom of Faith, Culture, and Politics by Cardinal Angelo Scola, translates by Matthew Sherry, June 3, 2014. 128 pages. Published by Image. Source: publisher. The seventeenth centenary of the Edict of Milan brings back to our attention the issue, more relevant than ever, of religious freedom. 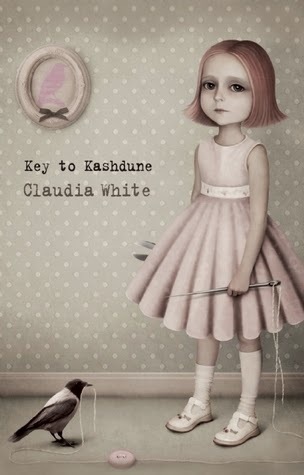 Key to Kashdune by Claudia White, June 10, 2014. pages 224. Published by MP Publisher. Source: author. The torch beam searched the walls of the dark and humid cavern. 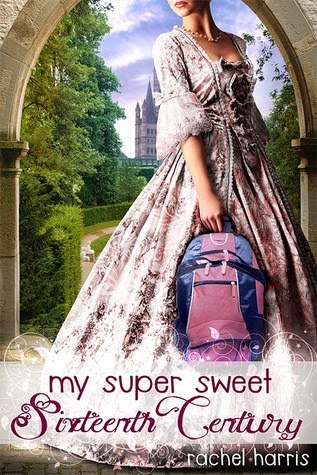 My Super Sweet Sixteenth Century (My Super Sweet Sixteenth Century, 1) by Rachel Harris, September 16, 2012. 304 pages. Published by Entangle Teen. Source: library. 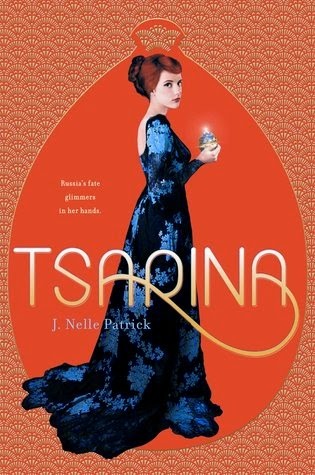 Tsarina by J. Nelle Patrick, February 27, 2014. Published by Razorbil. Why: The short write-up had me very intrigued as to what the book is actually about. Plus, I saw it while visiting the base library and wanted to check it out so badly. But alas, I already have books checked out from one library and will have to get another time. Henrietta and the Dragon Stone (Five Kingdoms, 2) by Beth Barany, January 31, 2014. 300 pages. Published by Firewolf Books. Source: blog tour. While I found many reasons to enjoy Henrietta and the Dragon Stone, like the strong female character and the general story line, there were a couple things that kept me from being fully satisfied after finishing it. It was still quite the interesting read though. Even though I do have some reservations after reading Beth Barany's Henrietta and the Dragon Stone, I am pleased that I was able to read this one because I enjoyed reading about Henrietta and her latest adventure. She was definitely a strong willed character, and as one would expect, with a past that at times haunts her. So, other than her obvious strength in battle and her fierceness when it came to protecting those she cared about I enjoyed reading about her because her character was more than those two aspects. I loved seeing the way the author wrote about her and how those closest to her respected her strength in the face of battle. It was interesting because at times you can see a strong character but, yes there's a but, the male characters seem well threatened by that and thus belittle it. But here that was not the case. The final reason I enjoyed reading about Henrietta would have to be because she had so much room to grow within the book. It was nice to see more than just her strength shown as she battled with her possible feelings for a friend, while still wishing to keep him safe from her by pushing him away. As for the story, it was interesting even though I felt a little lost for the first couple of chapters. As the story seemed to pick up where the previous one left off-which I haven't read. So, while I worried for a few chapters on whether or not I was going to be able to make heads or tails of the story on a whole, I slowly fell into the writing and world as my brain puzzled out what could have happened in book one. That aside, what made the story interesting would have to be how all these little pieces, the attack on her mentor's village and more things, began to appear I enjoyed seeing the way the author used them to paint the fuller picture of the problems besieging the heroine. I'm sure y'all know how I like seeing the way authors take multiple plot strands to create the big picture of what's happening withing the world they have crated. I would recommend starting from book one, unlike me, so that yo can have the full story of what happened previously that led up to the happenings of book two. While I generally enjoyed the author's writing, I did feel that maybe things went a little fast when it came to the characters' evolving relationship. Would I have liked to see it move slower yes. There was just too much going on for me to believe that either character would even chance moving forward with their feelings at that point in the book. But, I'm guessing if it was a runoff from book one then I could more understand the exploration of their changing feelings. 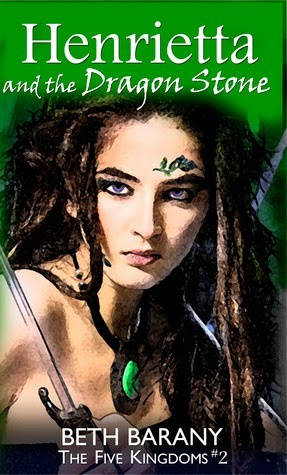 Final Verdict: Henrietta and the Dragon Stone- An action packed fantasy with a strong, sword-wielding heroine that I'm sure readers will enjoy reading about. I’ll be giving away 1 signed copies of Henrietta and the Dragon Stone and 1 signed copy of Henrietta the Dragon Slayer. I’ll mail you a copy anywhere in the world. I’ll also give away e-book copies of Henrietta and the Dragon Stone at each blog tour stop. 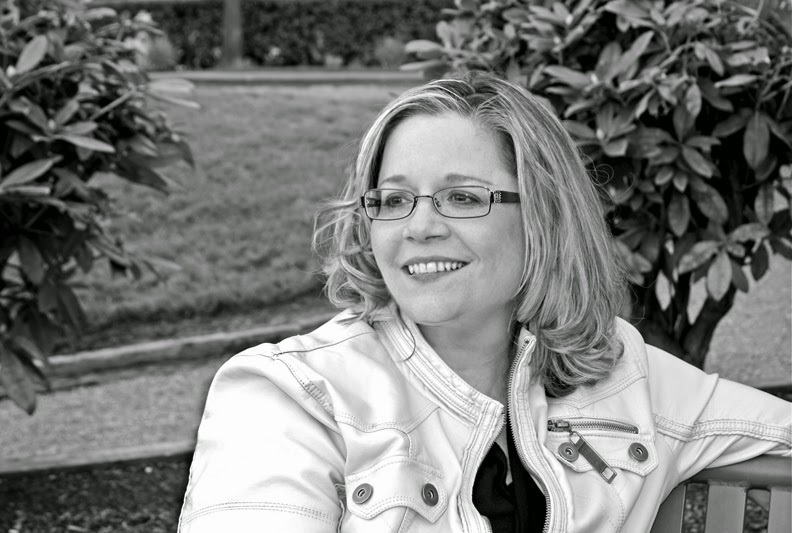 This week, I am excited to welcome Pam Torres, author of It's NOT Just a Dog!, to the blog to discuss her book and the last book that "hit her in the heart"
In seven words, can you tell us about It's NOT Just a Dog? Exciting adventure solving an injured dog’s mystery. When it came to writing It's NOT Just a Dog! what was it about Madison that made you want to tell her story? If you describe her in one word what would it be? I wanted to tell Madison’s story because of the courage she has to be herself and find answers to her questions. One word I would use to describe her would be, tenacious. Pam, what was the hardest chapter to write? The hardest chapter to write was the one that described the details of the dogfighting. I had no idea how brutal and unnatural it is for dogs to behave that way. Can you share with us a two sentence teaser from your favorite chapter? “We watched, waiting for the fire to build. When the blaze rose above the crackling wood, Uncle spoke” (152). If you could have tea with one author, who would it be and what would you say to them? Toni Morrison. I’d like to ask her about the magical reality she weaves throughout her stories so tightly it becomes indispensable to the plot. Last book that hit you in the heart? Last book you read that you wish you could unread? Three things: one thing you're good at; one thing you wish you could do; and one thing you're bad at? I’m really good at playing with my grandkids. I wish I could focus my binoculars and see the birds I’m hearing. I’m very, very bad at bowling. It's your lucky day, you get to spend one day in the fictional world of your choice....where are you off to? I’d love to visit Phillip Reeve’s world where Fever Crumb’s adventures are set. That’s easy, Katniss, from Suzanne Collins’ Hunger Games. I recently moved to a new office in my house. Unfortunately, it’s still in quite a mess so I don’t want to send a picture. I have several things that are always part of my office. A large desk so I can have space for reference books, drawing space, many containers of pens and pencils and my computer. Bookshelves where I keep my favorite books by writers I admire, photos and artwork by my grandchildren. I usually have a large board that has a story outline in the making with colored cards, post it notes and even pictures I’ve drawn or cut from magazines. And my sunlamp, for those dark rainy days in Seattle. Any upcoming projects that you can sure with us? I tend to be quite tightlipped about my projects until they come into the revisions stage. I will say that I am working on the last book in the Project Madison trilogy and this time I'm looking to my readers for where they'd like to see Madison go in this one. So I'm encouraging them to send me their ideas. Pam, thanks so much for stopping by! Wonder is definitely one book that does hit the heart with a punch! 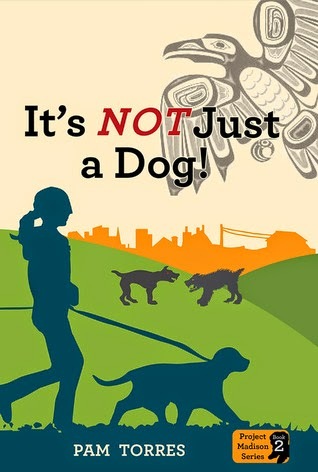 It's NOT Just a Dog! (Project Madison, 2) by Pam Torres, April, 2014. Published by Legacy Media Press. School's out for the summer and straight-talking Madison and her friend Cooper have big plans for the summer: working at the kennel, training service dogs and creating a dog-walking business—besides writing her dog-blog. Her stepdad has agreed to make Lilly, Madison's foster puppy, a permanent member of the Morgan family, and Madison wants to make the adoption special. When an injured dog is abandoned, Madison's determined to discover the truth about the orphaned dog. To crack this crime she'll have to sneak around some shady characters. It'll be tricky since her dad isn't happy about her animal detective activities. Her promise not to get into trouble won't be easy. Madison convinces Cooper to strike out on their own, but Lilly is dognapped and Madison finds herself locked in a shed with no way out. She regrets her crime-fighting obsession and realizes her snooping has endangered everyone she cares about. Cooper rallies an unlikely group of rescuers to bust her out. Swag Packages- One 5x7 signed illustration, bookmarks, magnets, stickers, an ebook in the format of your choice. 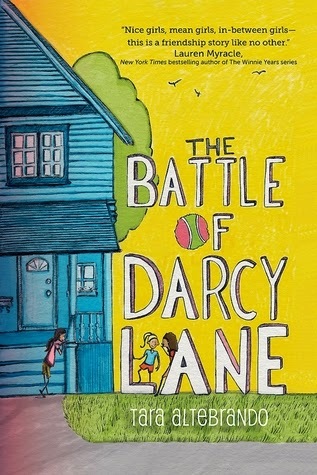 The Battle of Darcy Lane by Tara Altebrando, April 22, 2014. 208 pages. Published by Running Press Kids. Source: publisher. It is summertime, and twelve-year-old Julia Richards cannot stand the anticipation. Everyone on Darcy Lane seems to be holding their breath waiting for the cicadas to emerge, but what Julia and her best friend, Taylor, want is some real excitement. Which arrives in the form of a new neighbor named Alyssa, who introduces a ball game called Russia . . . and an unwelcome level of BFF rivalry. Taylor and I were sitting on my front porch pretending to be millionaires as the afternoon turned into evening. Greetings, you have discovered the fourth stop on the U.S. leg of Maureen McQuerry's Beyond the Door blog tour. 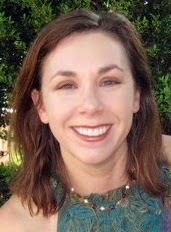 Today, Maureen will be talking about "What I've Learned from Myth, part II". Writers are like crows. They collect shiny objects that capture their attention and hide them away. Maureen has been collecting interesting bits since she was six and decided she wanted to be a writer. 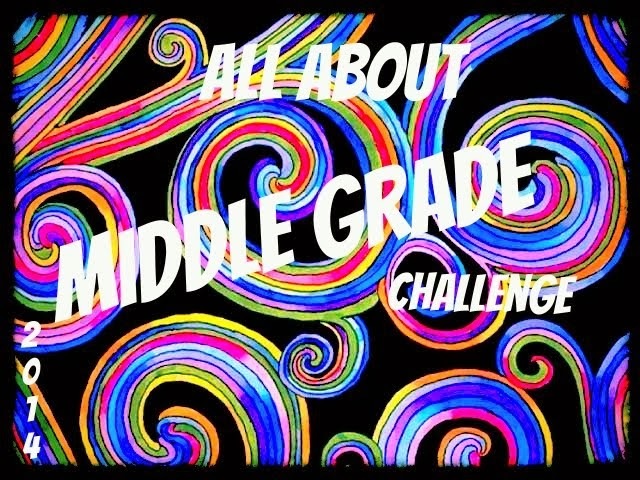 Like all interesting journeys, the road to her goal took many twists and turns along the way: teaching middle grade through college, coordinating a program for gifted students, marrying and raising her own two children, traveling the world, and all the while writing in the spaces in between. Reluctant heroes are at the heart of many ancient and contemporary mythic stories and fairytales. This isn’t surprising because they illustrate one of the greatest truths we so easily forget. We, every one of us, are more than we appear. 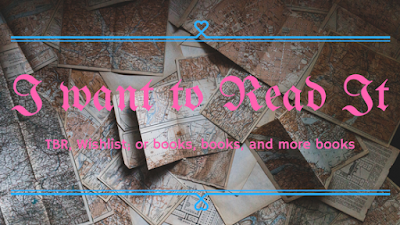 Shall we make a list? Bilbo Baggins, Lucy Pevinse, Harry Pottery, Arthur, Faced with extraordinary situations we can be heroic, noble, self-sacrificing. Isn’t that what stories have been whispering to us for time out of time: you are more than others see, you can make a difference in the world, you with all your flaws, prejudices, inconsistencies are immensely valuable and have something unique to offer the world. All children know the world is full of dragons. What they to know is that sometimes they can be the hero who defeats the dragon. They (and we) need to be reminded that the dragon isn’t the end. Even though the path through the woods is dark, the story doesn’t end in despair. Like Timothy in Beyond the Door, we need to know that when the wolf is at the door, hot breathed and bloody clawed, we can be Wolfproof. Myth is tells us that the least expected person may be the hero. We love stories of transformation selkies, shapeshifters, changlings, enchantments. Without change there is no story because story is not about plot. It’s about how events change people. The human heart is made for stories and the greatest satisfaction for a reader is the protagonist’s inner journey. We read to see how the conflicts, struggles, antagonists will transform the hero, because her story is our story too. Stories aren’t prescriptive, they’re transformative. They are acts of identification. In the best stories we identify with the protagonist’s struggles and something in us is changed by the end. The Hero’s journey is our journey. 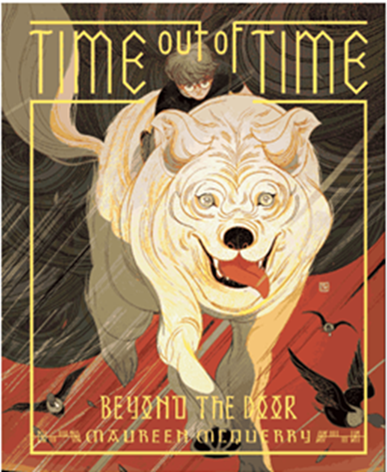 Beyond the Door (Time Out of Time, 1) by Maureen McQuerry, March 1, 2014. Published by Amulet. With his love of learning and the game of Scrabble, Timothy James feels like the only person who understands him is his older sister, Sarah, and he’s fairly certain nothing interesting will ever happen to him. But one night, while his parents and sister are away, the door opens, and mythical creatures appear in his own living room! Soon, a mystery of unparalleled proportions begins to unfold, revealing an age-old battle of Light against Dark, and Timothy must embark on a quest to prevent the Dark from controlling the future and changing the past. But he can’t complete the quest alone. Timothy has to team up with his sister and the school bully, Jessica, to face an ancient evil, and in the process, this unlikely trio discover they are each more than meets the eye. You can add Beyond the Door to your Goodreads shelves. Catholic Review: Why Be Catholic?